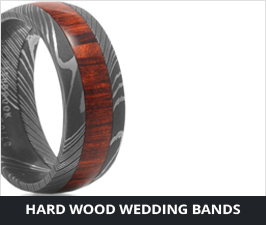 So you are shopping for a wedding band? Great! You have tons of choices. 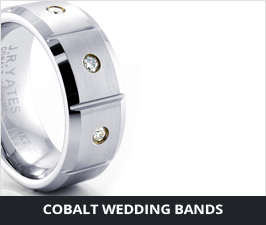 In the last several years the market has seen the popularity of contemporary metals explode. 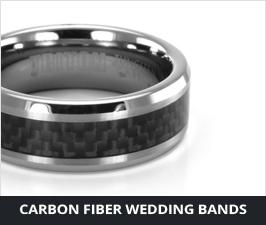 No longer are men just wearing a plain gold band. No - that's just boring! 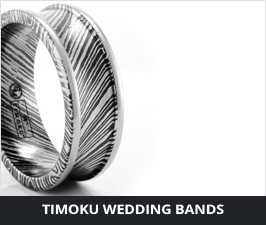 Not just titanium bands, but black titanium, cobalt, tungsten, damascus steel, black zirconium and more are now available. 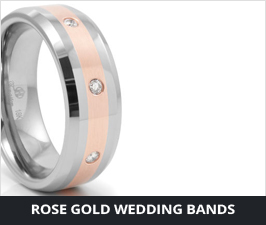 Or consider precious metals such as rose gold, palladium or Argentium silver for your wedding band. 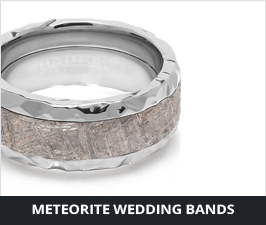 You can also pair one of these metals with meteorite, wood, hammered copper, black diamonds, mokume gane. 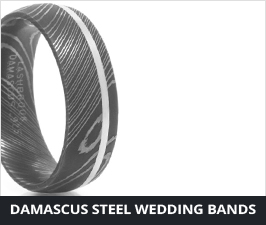 The end result is a very unique and modern wedding band! Start browsing our unique selection. 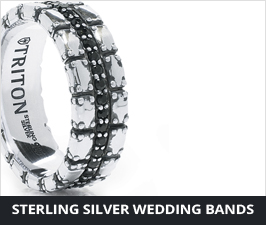 One thing you can be sure of, regardless of which metal you choose, is that we stand behind your new ring! 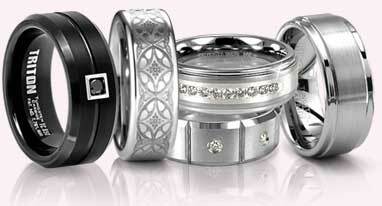 You have a 90 day return privilege, lifetime ring guarantee and lifetime ring sizing exchange program. So you can shop with confidence! 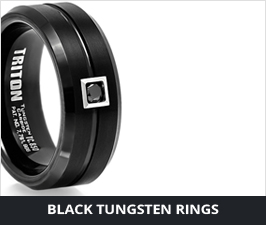 Black titanium rings for men: Our most popular seller for men. 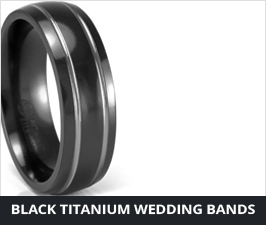 Black titanium is lightweight and incredibly strong, does not scratch easily, has a dark color that guys like. 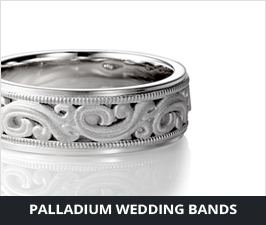 Palladium wedding bands for men: Palladium is a very rare, precious metal that is naturally white. 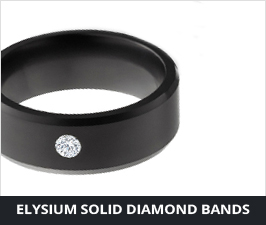 It is very similar to platinum, but currently about 1/3rd the price. It will never yellow like "white" gold will. And your ring will always have value. 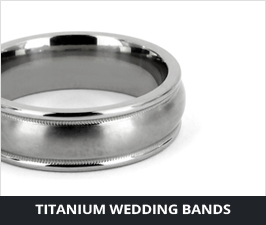 We began selling men's titanium wedding bands back in 2002. 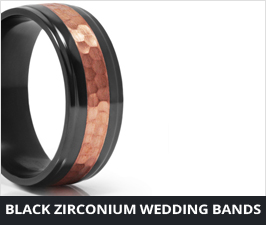 Since that time we've added all sorts of other modern metals to our selection. Be sure to bookmark this page. You'll want to visit us again as you head further into your shopping journey. 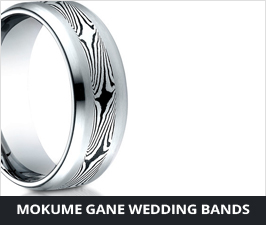 We are specialists in modern wedding bands for men!